Tucker is our February foster of the month. 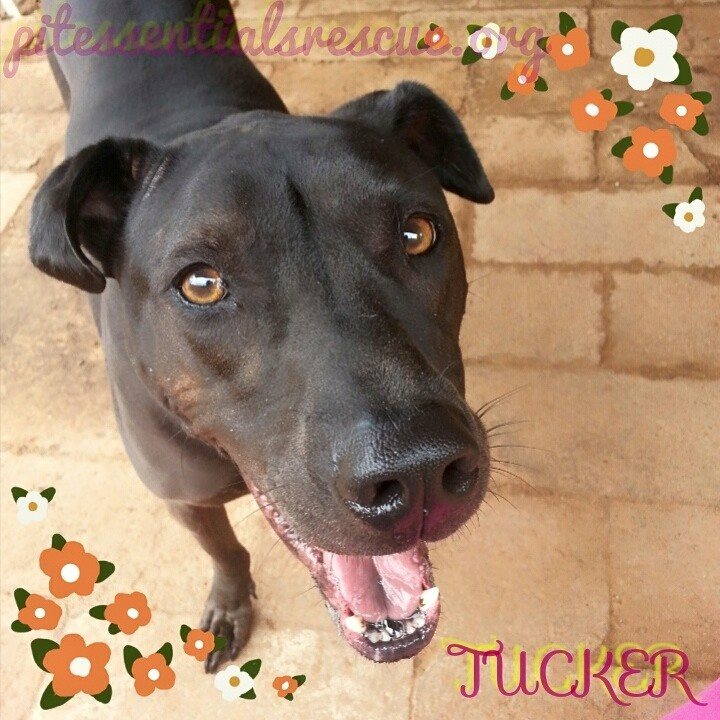 Tucker is such a gem in a medium black with brown highlighted package. :-) He was returned to the rescue when his previous owner could no longer care for his medical needs. Tucker has allergies. He gets a monthly allergy serum shot at home. He is on special food and treats and he needs bathing on a regular basis if the environment he is in makes his allergies flair. Tucker is going to be 8 yrs old this year. He is a pretty mellow guy who enjoys a good rub down and cuddle time. He knows sit, down, wait, stay, shake (with both paws) and he takes treats with a gentleness you have never experienced. He is amazing on leash! He is shy so it takes a few days for him to warm up to new people and dog friends take a little longer unless they give him space to meet them on his time table. His previous owner had a 1 yr old child and Tucker was a great big brother.